India's second largest telecom operator by subscribers base, Vodafone is informing its customer about the "Vodafone U" packs. 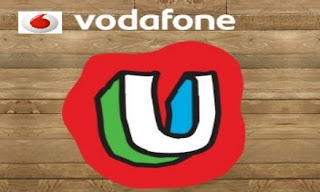 Vodafone U offer gives for its all prepaid customer in all circle. These packs basically offers some 3G / 4G data, lower call rates to one friend, unlimited music downloads on Saavn Pro through Vodafone music app with many other things.